Many entrepreneurs supplement their earnings by conducting workshops. These workshops can be "stand alone" events or part of a larger conference. They provide wonderful opportunities for sharing expertise and marketing one's skills. Regardless of the setting, workshop presenters should always draft written contracts that clearly outline the workshop services they will provide. A well written contract will ensure that all parties understand their obligations and will help reduce the likelihood of misunderstandings and legal disputes. Identify the parties to the contract. Include the name and address of each party. Generally, the parties will be the workshop presenter and the entity sponsoring the workshop, or the party responsible for paying the workshop presenter if different than the sponsor. Be sure to include the correct names of business entities along with their appropriate business designations. Describe the services and obligations the parties have agreed to provide. Be specific about the times and dates of the workshop, the length of the workshop, topics to be covered and any additional expectations of the workshop presenter such as book signing after the workshop. Address issues relating to whether and what technology must be available at the workshop site, audience size and sound system needs. 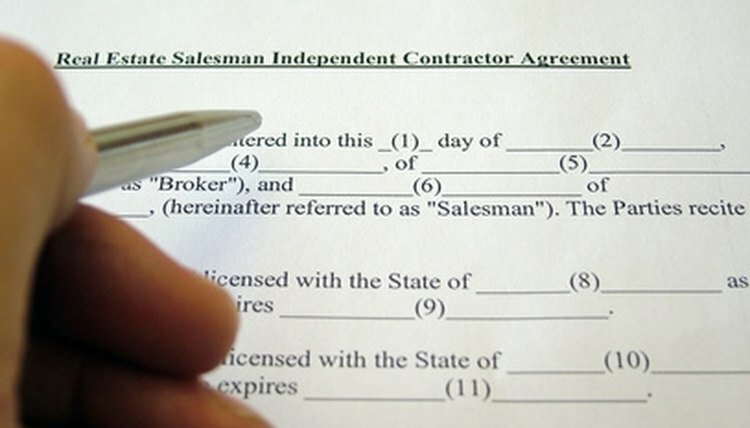 Describe the fees and expenses covered by the contract and when payment is due. The workshop presenter may charge a flat fee or an attendance based fee. The presenter may also require payment of a deposit, which may or may not be refundable. If the parties agree to cover some of the presenter's expenses, like hotel, mileage, meals or photocopying, these expense categories should be listed in the contract. If any limits are to be applied to these expenses the contract should include those limits. Address the ownership of intellectual property. If the workshop presenter plans on providing materials, whether in print or electronically, the contract should state that the materials are the presenter's copyrighted materials and should specify how the materials may be used by the workshop sponsor and attendees. Similarly, if the workshop is going to be recorded, the contract should address how and to what extent the recording may be used, such as archival purposes only or limited rebroadcast. Anticipate the unexpected. The contract should include provisions for cancellation that identify whether a party may cancel the workshop, the penalties, if any, for cancellation and whether the parties will attempt to reschedule the workshop in the event of cancellation. Events that might cause cancellation include insufficient workshop enrollment, illness, bad weather and other events outside of the parties' control. Establish a plan for dealing with unexpected events and incorporate that plan into the contract. M., Aimee. "How to Write a Contract for Conducting Workshops." , https://legalbeagle.com/6731724-write-contract-conducting-workshops.html. Accessed 21 April 2019.